How to use Snapchat's Filters in Your Live Stream! How to use Snapchats's Snap Camera! Snapchat is packed full of awesome filters and animations! You can now use their Snap Camera application to make your Face-cam just that more entertaining. You can download Snap Camera for either Windows or macOS from https://snapcamera.snapchat.com/. Agree to the terms and install the program to your computer. 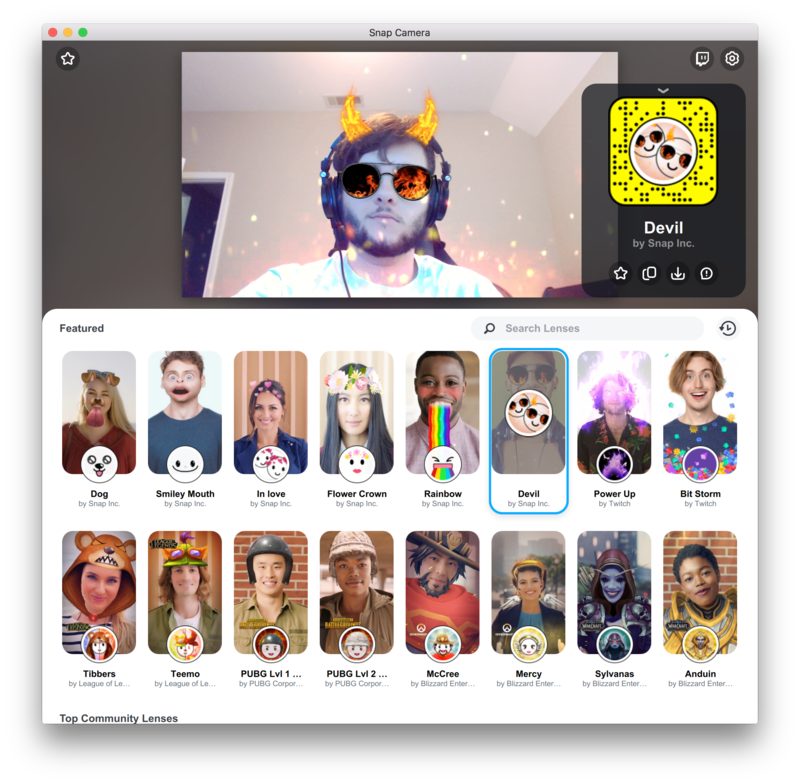 Once the program is open you'll see your webcam feed and a long list of Snapchat filters! Click on any of the filters to preview how they look! 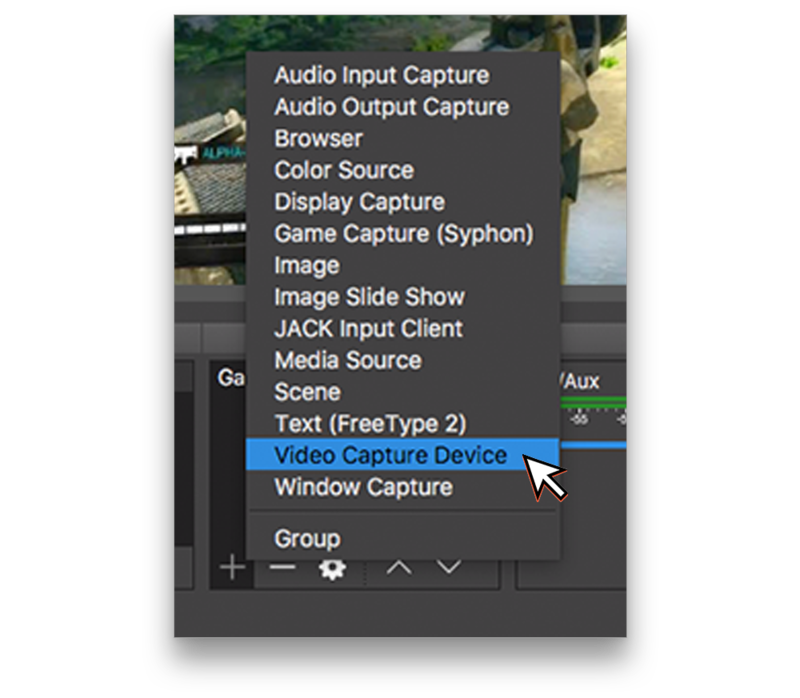 With OBS Studio open, click the "+" under "Sources" and click "Video Capture Device." 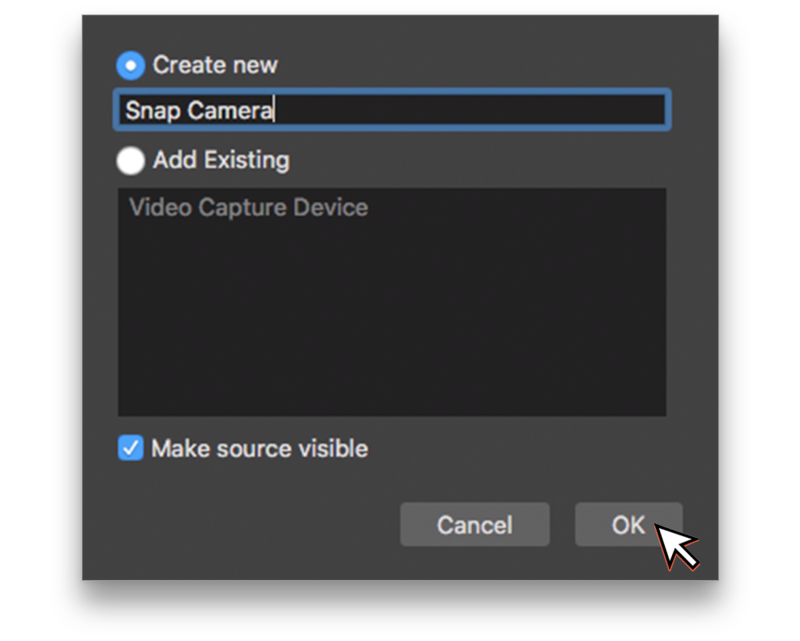 Give the source a name - something like Snap Camera - and click "OK"
From the "Device" drop-down select "Snap Camera," then click "OK."
You'll now see the Snap Camera added to your OBS Preview window! You may need to use the red outline to resize it to fit where you'd like it! 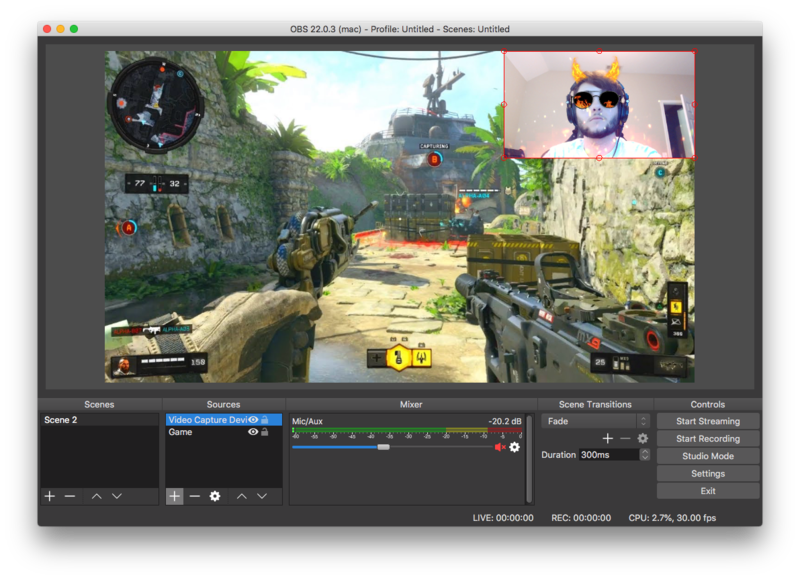 Now you're all setup to use Snapchat filters in your stream! From within Snap Camera you can set hot keys to trigger some of the filters so you can toggle them on demand!